Discord is a modern free voice & text chat app for groups of gamers. Our resilient Erlang backend running on the cloud has built in DDoS protection with automatic server failover. bitwarden is the easiest and safest way to store and sync your passwords across all of your devices. Real-time annotations and task management on videos. Bring your team to the cloud and and increase your efficiency by getting actionable, real-time feedback on your video projects. 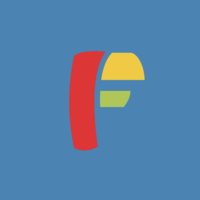 Video project management is simple with Feedbac. 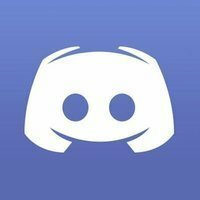 Why do developers choose Discord? Why do you like Discord? Why do developers choose bitwarden? Why do you like bitwarden? Why do developers choose FeedBac? Why do you like FeedBac? What are the cons of using Discord? What are the cons of using bitwarden? What are the cons of using FeedBac? How much does bitwarden cost? How much does FeedBac cost? What tools integrate with Discord? What tools integrate with bitwarden? What tools integrate with FeedBac? What are some alternatives to Discord, bitwarden, and FeedBac? Discord combines the text and image sharing of Skype and Teamspeak 3's high speed voice connection to create this reliable software platform. With the implementation of choosing whether you wish to chat with friends in a 1-on-1 conversation, to joining a community channel and meet up with new people. Discord provides the opportunity of letting the user join a channel with ease using nothing but a link they can paste into their browser. 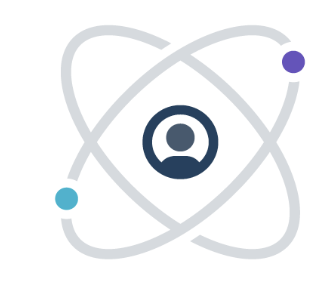 Discord also gives their members a wider experience being cross-platform, including Windows, Mac, Linux as well as IOS and Android mobile devices. Discord, on top of all the above, allows the user to post images in both channels and 1-on-1 messaging, aswell as play .gif and .mp4 files. Implemented also is the custom profile and friend system, allowing the user to add or remove friends, giving the user a vaster experience customizing their own way they wish. Discord is an overall very well produced platform allowing a diverse experience in communication and multimedia. Durch die einfache und plattformübergreifende Nutzung sowie die Möglichkeit schnell rollenbasierte Kanäle zu erstellen, bietet sich Discord hervorragend für die Kommunikation im Team sowie auch mit den Spielern an. Wir nutzen Discord statt Slack, da wir unseren Fokus im Gaming Bereich haben und Discord hier stark vertreten ist. Discord is home to many game development communities, including AGDG (Amateur Game Development General), RGD (Reddit Game Development), and Game Dev League. When I'm working with WebGL, they are always very knowledgeable and helpful in answering my questions about physics, vectors and data structures. We first used slack and switched to Discord later to stay near at where the community is at, while still be able to have private conversations and stay in contact. Discord offered everything we needed and used from Slack previously, plus the community-part, so it was an easy decision. Discord is used for all the discussions with our community, and discussions between our entire staff (including Community Managers, Chat Moderators and BATs). We also use a Discord bot we developed to deploy new code to the server. We use Discord for our community as well as generic staff communications. It works as a main selling point for ShadowICT as well as a central place for monitoring alerts and announcements to go.